Dami Research – Technical Services was set up to assist NBPOL fast track projects which require a high degree of scientific input from the development stage and into the working environment. Today it has become a service provider in its own right and encompasses 4 disciplines. The goal of each of our technical services is to provide plantation managers with the tools and information for improved and sustainable management and production of oil palm. Biotechnology: Our biotechnology services focuses on the cloning of breeding palms in order to produce bi-clonal seed to assist in the seed production business. Using a technique called Clonal Micropropagation, tissue is extracted from the flowers of the donor palm and used as starter material. No genetic modification work is undertaken from in this process. Precision Agriculture: Utilising GIS technologies, Precision Agriculture provides GIS mapping services which integrates with our proprietary database, Oil Palm Management Programme (OMP). The OMP database management tool is used to map the health status and track harvesting progress of all individual palms. 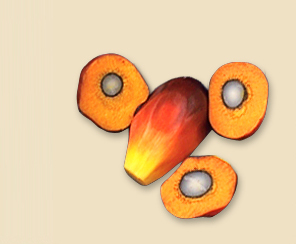 Agronomy: Our agronomy services advise clients on soils, climate, foliar nutrient status, and other relevant agronomic data to support sustainable palm oil management using our OMP database. Site specific information allows for more efficient use and effective application of fertilizer, pesticide and palm management. NBPOL agronomy services also advices on organic recycling initiatives and the development of zero discharge technology in mills. Environmental Management: NBPOL advise and implements a robust Environmental Management system through the use of the ISO 14001 system as a framework. NBPOL also provides auditing services to ensure compliance and mapping of environmentally fragile areas.